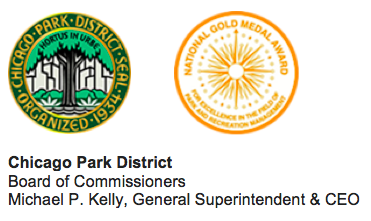 This site contains information related to certain bonds or notes issued by the Chicago Park District (“Park District”). By choosing to continue and view the information on this site you are acknowledging that you have read and understood and accept the terms of this disclaimer. The purpose of this site is to provide general information relating to certain outstanding bonds, or notes of the Park District. The information is provided for quick reference only. It is not a summary or a compilation of all information relevant to any particular financial transactions, bonds, notes or other obligations. It does not purport to include every item which may be of interest, nor does it purport to present full disclosure with respect to any financial transactions relating to the Park District's bonds, notes or other obligations within the meaning of applicable securities laws and regulations. There is no assurance that the information contained on this site does not contain typographical or other errors which may have occurred in converting the original source document or other source materials to electronic format. All information on this site has been furnished or obtained by the Park District from sources believed to be accurate and reliable but is not guaranteed as to accuracy. Because of the possibility of human and mechanical error as well as other factors, the information in this site is provided "as is" without warranty of any kind, including, but not limited to implied warranties of merchantability, fitness for a particular purpose, freedom from contamination by computer viruses and non-infringement of proprietary rights. In particular, no representation or warranty, expressed or implied, is made or to be inferred as to the accuracy, timeliness, adequacy, legality, usefulness, reliability or completeness of this information. Neither the Park District, nor any of its officers, or employees, shall be held liable for any use of the information described and/or contained in this site. In no event shall the Park District or its officers, or employees be liable for any direct, indirect, incidental, special, exemplary or consequential damages however caused and on any theory of liability, whether in contract, strict liability or tort (including negligence or otherwise) arising in any way out of the use of this site, even if advised of the possibility of such damage. This disclaimer of liability applies to any and all damages and injuries, including, but not limited to those caused by any failure of performance, error, omission, interruption, deletion, defect, delay in operation or transmission, computer virus, communication line failure, theft or destruction or unauthorized access to, alteration of, or use of any record, whether for breach of contract, tortious behavior, negligence or under any other cause of action. This disclaimer applies to both isolated and aggregate uses of the information in this site. As part of the Park District’s dedication to the management of its debt program, the Park District has provided this site to provide investors with information pertaining to the financial condition of the Park District. In addition, this site provides investors with information on the Park District's bond ratings and its prior and upcoming debt issuance calendar. The information provided on this site does not constitute an offer to sell or buy securities or the solicitation of an offer to sell or buy securities and should not be relied upon to provide specific offering information in connection with any issuance, sale, resale, or remarketing of bonds, notes, or other municipal obligations. Investment decisions should be made only after full review of an official statement or other disclosure document and other relevant documents and matters in connection with a particular issue of bonds or notes. Securities may not be sold, nor may an offer to buy be accepted, to the public prior to the time an official statement relating to such securities is delivered in final form. A definitive official statement with respect to any bonds will be made available concurrently with their sale. A preliminary official statement for any publicly offered securities may be obtained on this site and from the firms listed on the cover of the preliminary official statement. Any preliminary official statement relating to securities included on the debt issuance calendar page is provided only as a matter of convenience. For investment advice on securities, please contact your investment advisor. No statement found on this site is incorporated by reference in official statement for the securities and no statement on this site is part of any official statement. Any financial document contained in this site that is marked with a “dated” date (the “Dated Date”) speaks only as of that Dated Date, which may be prior to the date it is posted on this site. You are cautioned not to assume that any information has been updated beyond the Dated Date unless a document expressly states that it constitutes an update of a specific portion of a document. No inference should be made that the operations of the Park District or related entities or other economic conditions have remained the same since the Dated Date. The Park District expressly disclaims any duty to provide an update of any document contained on the site. The information on this site speaks as of its date, and the Park District does not hereby obligate itself in any manner to periodically or otherwise update this information or to maintain the availability of this information. The Park District is under no obligation to update any information included on this site. The information and expressions of opinion herein are subject to change without notice and the posting of information on this site does not imply that there has been no change in the affairs of the Park District. The documents contained on the site may make “forward-looking statements” by using forward-looking words such as “may,” “will,” “should,” “expects,” “believes,” “anticipates,” “estimates,” or others. You are cautioned that forward-looking statements are subject to a variety of uncertainties that could cause actual results to differ from the projected results. It is possible that actual events and occurrences may differ from forward-looking statements included on the site. The site includes links to other sites, and may include addresses or names of other sites that may be of value as an educational or reference tool. The Park District has not participated in the preparation, compilation, or selection of information on any other site, and the Park District disclaims any and all responsibility or liability for the views, content, or accuracy of any other site, including any site mentioned on the site. Any addresses or links to other sites which may be contained in this site are given only for the convenience of the viewer. The Park District has not participated in the preparation, collection, compilation or selection of information on any such other site and assumes no responsibility or liability for the contents of such sites. Due to the dynamic nature of the Internet, resources that are free and publicly available one day may require a fee or restricted access the next, and the location of items may change as menus, homepages and files are reorganized. If you obtain any information from this site from any source other than this site, please be aware that electronic data can be altered subsequent to original distribution. Data can also quickly become out of date. It is recommended that careful attention be paid to any data associated with a file, and that the originator of the data or information be contacted with any questions regarding appropriate use. The site is part of the official site of the Park District. The Park District disclaims any and all responsibility for any copies, modifications, and reproductions of this site or the information it contains. The site is provided for convenience, and the site may not provide all information that may be of interest to investors. The information contained on this site may not be complete, and additional documents may exist containing other relevant information. Other than the specific information presented on the site, no other information on the Park District's Site is intended to be the basis of or should be relied upon in making an investment decision. Construction of the disclaimers above and resolution of disputes regarding such disclaimers are governed by the laws of the State of Illinois, U.S.A. The laws of the State of Illinois, U.S.A., shall apply to all uses of this site and the information contained in this site. By viewing this site and the information contained in this site, the viewer agrees that such viewing and use shall conform to all applicable laws and regulations and that the viewer shall not violate the rights of any third parties and agrees to all of the terms, conditions and provisions set forth above.